Jacinto City, TX. – February 19, 2018 – Congresswoman Sheila Jackson Lee and Jacinto City officials came together for a ribbon cutting ceremony to celebrate the acquisition of the city’s latest addition to their emergency fleet. Lon Squyres, City Manager of the city and former fire chief said, “The new unit was purchased from Frazier Ambulance Company. The grant enabled us to purchase a state of the art unit made for the Gulf Coast climate. Rather than relying on a typical automotive AC system this unit has a 110V HVAC system powered by on board generator. In fact the generator provides primary power for the patient compartment, then the truck’s standard 12 volt system supplies back up power if needed. The stretcher is hydraulic so we don’t risk patient or staff safety trying to lift patients in to the unit. All lighting is LED so there is very little power drain on the unit. “The ambulance cost was $165,000 but $90,000 was funded by a federal grant that Congresswoman Sheila Jackson Lee located and secured. I would have loved to have this unit when I was young medic,” Squyres said. 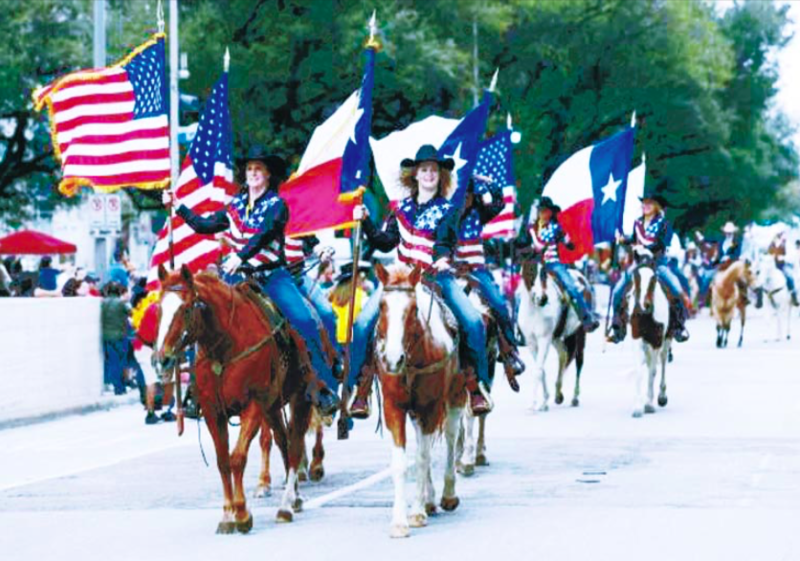 Last Saturday’s Rodeo parade in downtown Houston marked the beginning of three weeks of rodeo events at NRG stadium. The parade included 13 trail riding outfits, and Mayor Sylvester Turner. The opening day of the two week program was Tuesday, Feb. 27 with the popular Garth Brooks as the opening act, and also will be the closing act on March 18. Galena Park, TX. 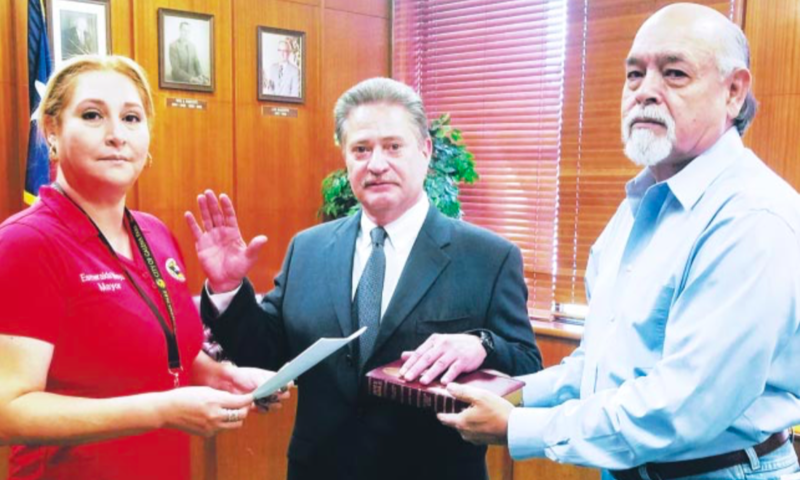 – February 23, 2018 – Galena Park Mayor Esmeralda Moya gave the oath of office to Richard Gonzales as Galena Park’s new police chief. Interim Police Chief Reese Martin resigned after 11 months as acting Chief in order to take a job in Montana as Emergency Management Director. Martin said his moving will put him with his family and allow him to pursue his goal of working in the field of Emergency Management. Richard “Rick” Gonzales was born and raised in Houston’s Denver Harbor. He began his law enforcement career in 1982 as a Deputy Reserve Officer for Constable Precinct 6 until 1984 when he became a Houston police officer until he retired with 30 years of service. He’s worked in the anti-gang division, patrol division and before HISD had their own police force he worked in the schools and focused on reducing truancy, drug use and gang activity. His last 2 years he worked in the Homeland Security Division.